Earlier this week as we were taking a trip around Hackney Wick, enjoying the glorious sunshine and checking for any fresh artworks, we here at London Calling Blog were treated to an opportunity to make a visit to the studio of Ant Carver, busy at work on the final stages of preparation for his upcoming exhibition ‘Nothing’s Wrong Something’s Right’. The show opens this coming Wednesday in The Old Truman Brewery off Brick Lane, and despite being exceptionally busy, Ant Carver was courteous enough to grant us the time to have a sneak peek at the impressive body of works created for the exhibition and answer some questions we had about his art and upcoming show. 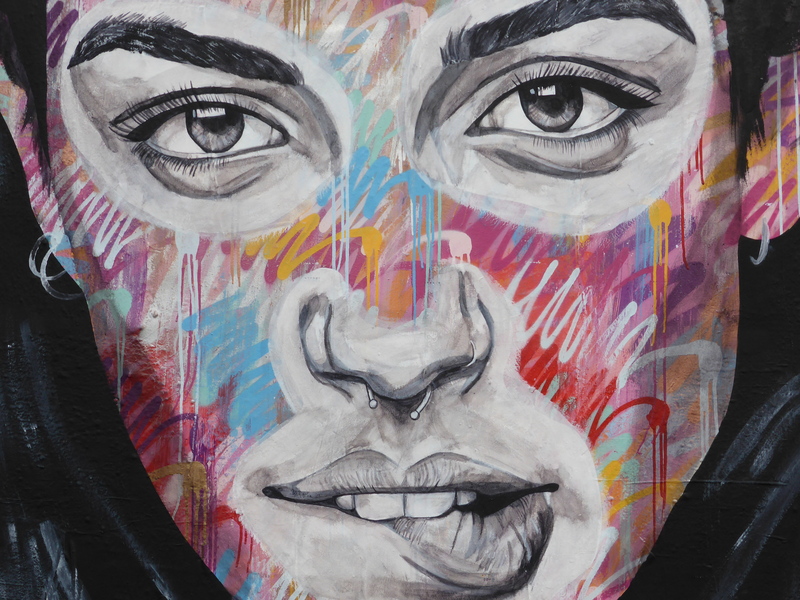 Ant Carver’s first venture into painting in the public realm began at the age of thirteen with throwing up Graffiti tags and has since gone on to move into painting portraiture based works, still maintaining a link to his Graffiti origins in the backgrounds. The style with which you would now associate with Ant Carver’s artistic output has been developed and honed over the last three or so years. 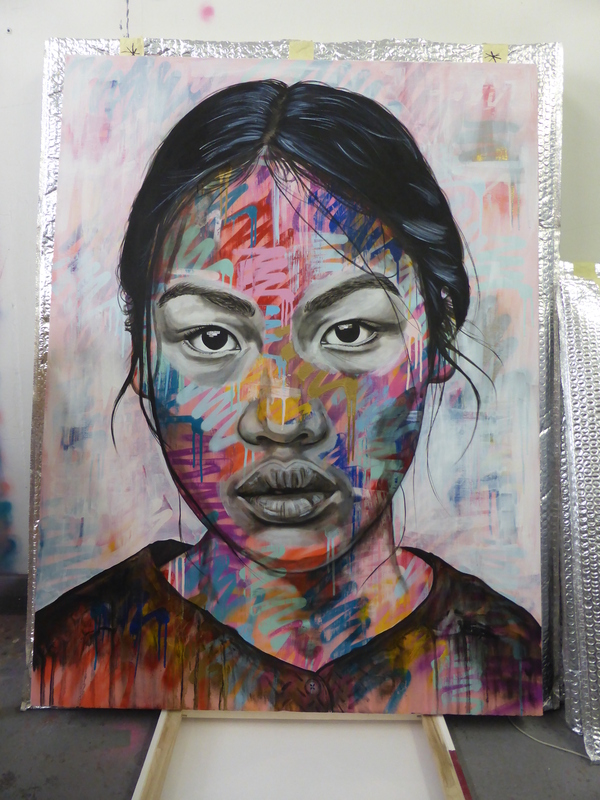 Ant’s art is influenced by a range of classical and contemporary artists, unsurprisingly with a predilection towards artists who paint portraiture based works, including: Lucien Freud, Francis Bacon, Conor Harrington, Borondo, Rone, Herakut and the typography work of Ben Eine, paying homage to his Graffiti roots. 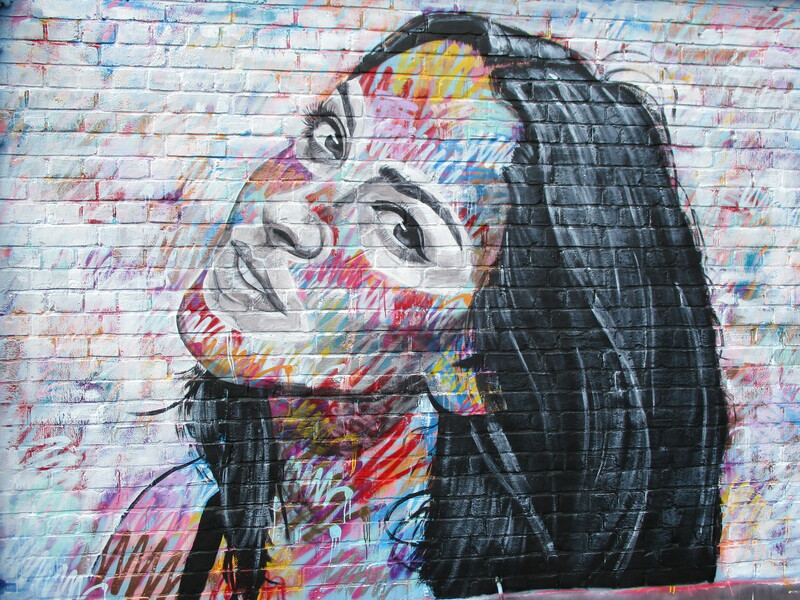 When asked why he chooses to paint on the streets, he explained it was twofold. 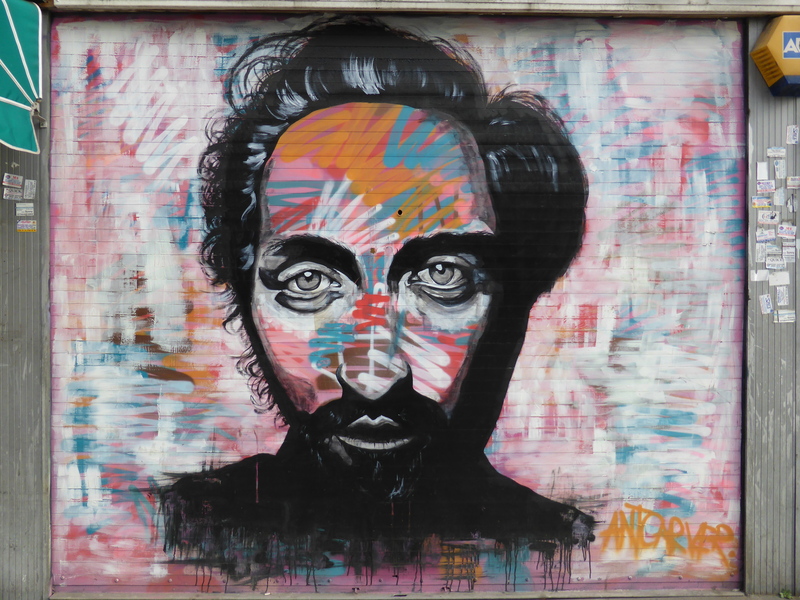 Firstly, he feels Street Art brightens up the area for the community, and secondly, not to claim to be purely altruistic in his intent, because it is enjoyable to paint on the street, to meet people and have them enjoy his work. 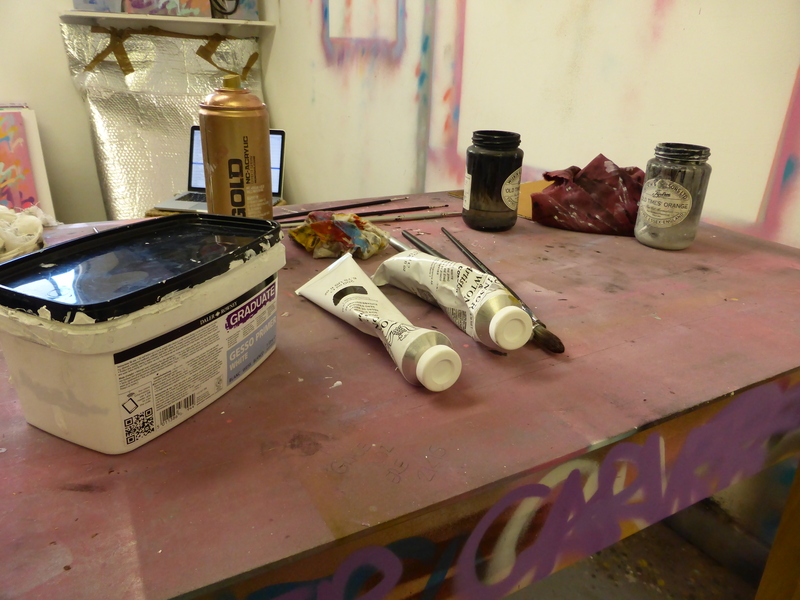 Studio work is on a whole very isolated, Ant explained, it is refreshing to paint on the street in public, although, he admits that it is also a little egocentric. Still, we aren’t going to complain if it means we and others get to enjoy the works put up in public and it is certainly refreshing to see such a view so openly expressed. 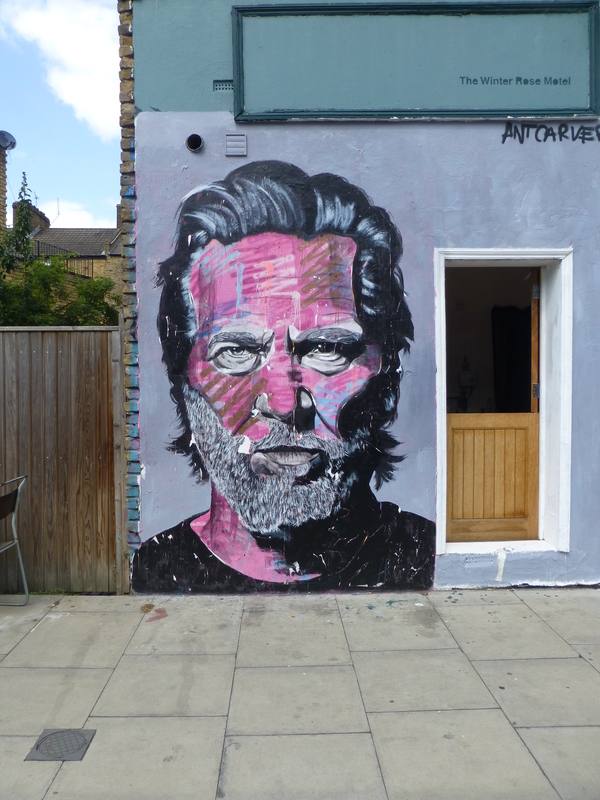 In terms of Street Art, over the last year Ant has placed up about ten or so works on legal walls and regularly places up his distinctive hand-painted paste-ups around London, predominantly in the East End. 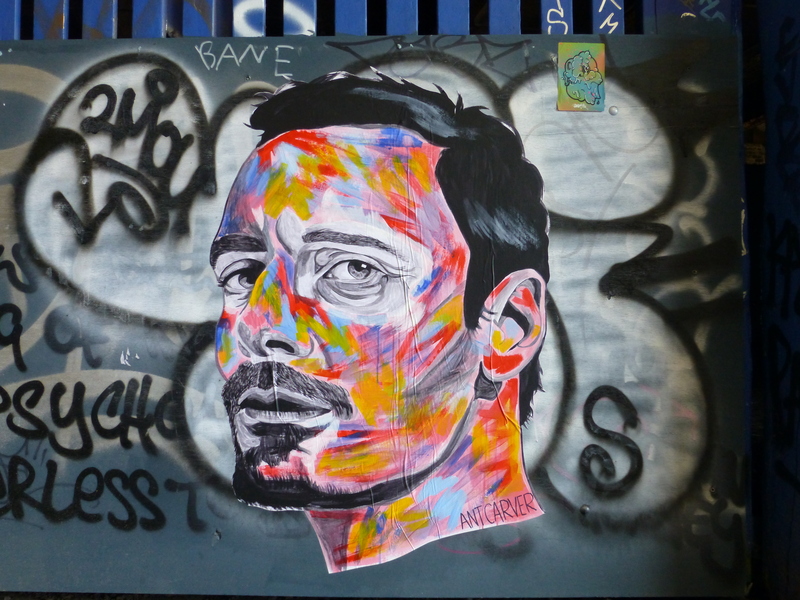 For Ant paste-ups offer a more democratized means of making his art visible and accessible. Using paste-ups gets around the lack of available legal walls, and allows him to maintain a regular output of work whilst remaining in control. The quick nature in which these can be placed up avoids the risks associated with painting illegal walls. 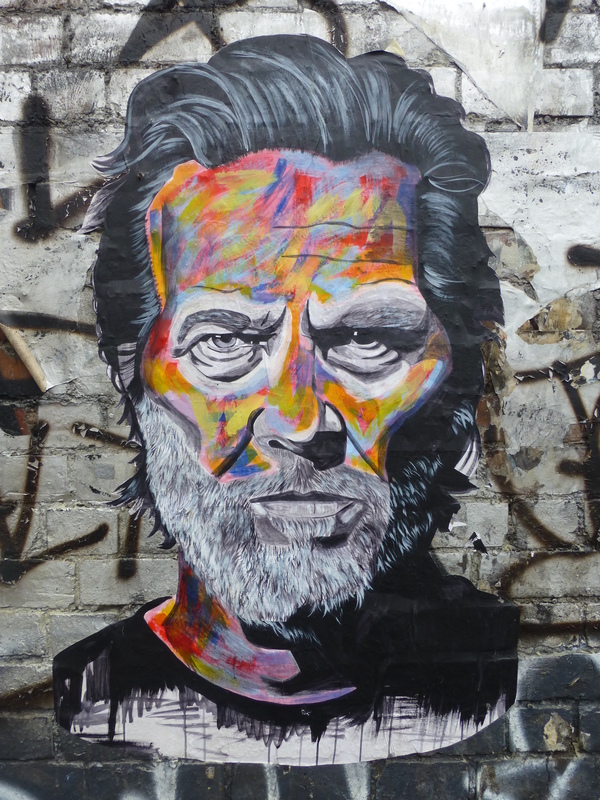 What is ironic is that several of these paste-ups placed up this year in London, which take approximately six hours to make and are all hand-painted, have proved in a few cases to last longer than larger works on legal organised walls. 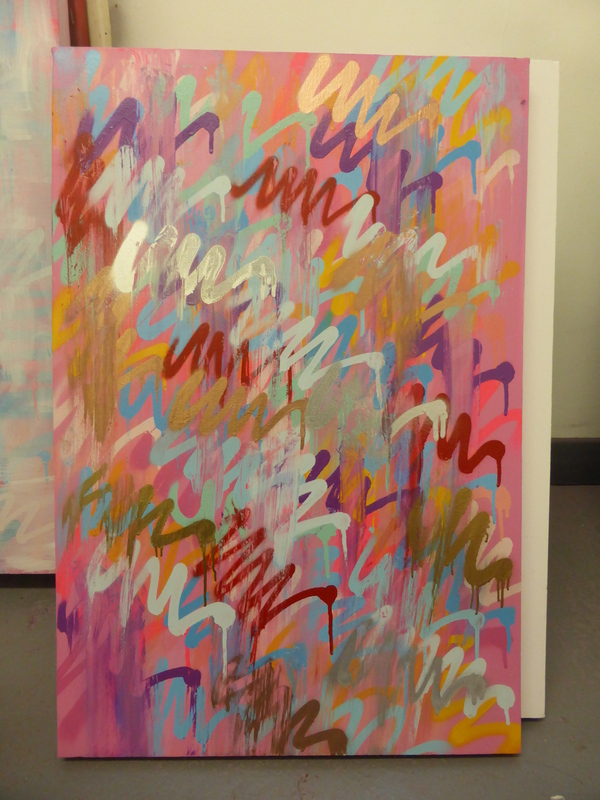 One of the works for his upcoming exhibition. Ant explained that his works are taking longer to construct these days as he becomes more immersed in the process and sets to add more depth to his pieces. 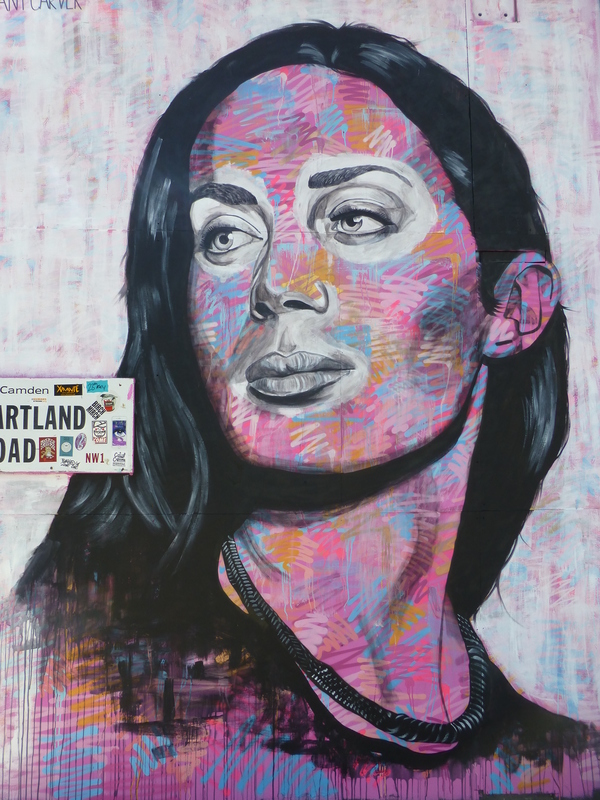 He will spend on average one day constructing a work for a wall, but this has increasingly become a two-day process, with more effort going into the background element. Originally the multi-coloured backgrounds for Ant’s pieces comprised Ant’s old Graffiti tag and created a more solid, block formation. This has since evolved into a more abstract form and elaborate process of being built up and then deconstructed with smudges and even partly phased out with primer. It is on this platform that Ant sets to paint the detailed portraiture by brush, with acrylic on the street and oils in the studio, as is the case for the upcoming exhibition. 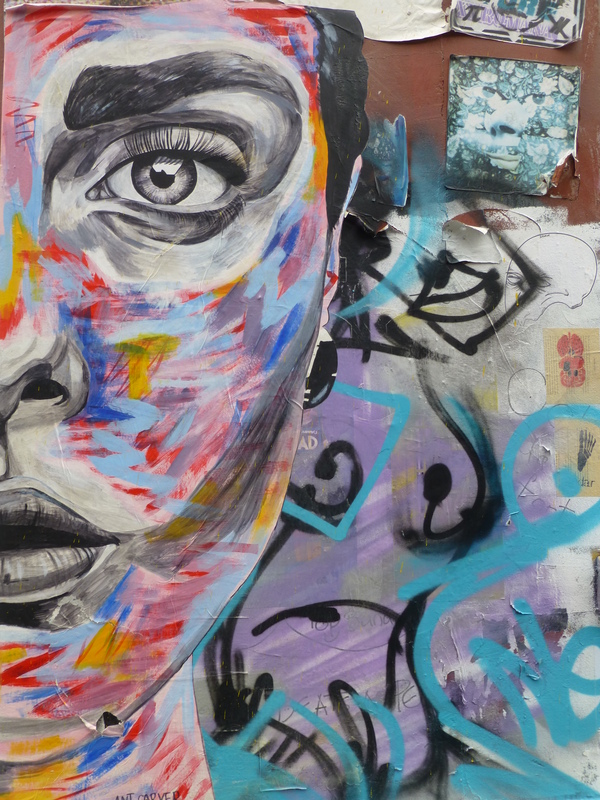 This is what makes Ant’s works so interesting, they mark the point where Graffiti meets Fine Art, and embody the journey as an artist Ant has taken, not forgetting his routes but building upon them and striving to develop and hone the process. 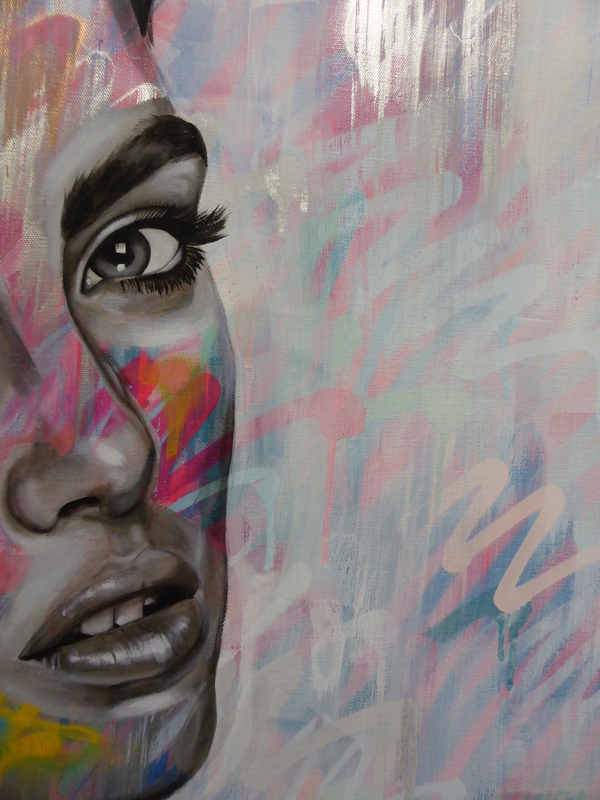 We have long been fans of Ant’s output, his grey-scale realistic portraits sit so well on the fluid and colourful base he composes, creating that striking effect of the beauty to be seen among the chaos. 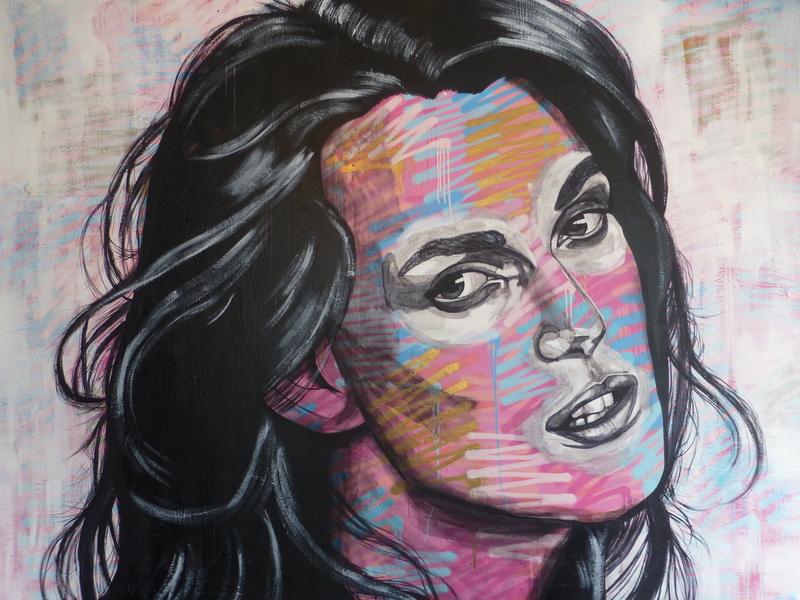 We also feel it is of note, by viewing the images set out below this article showcasing Ant’s London works over the last year, just how much over the last ten to twelve months Ant’s works have developed and improved, showing no signs of abating. “Nothing’s Wrong Something’s Right” will mark Ant’s first major solo exhibition. Having had a few pop-up shows in the past which have afforded him the chance to save and prepare for this show. There will be a total of 21 works on display in the exhibition, and the availability of a limited edition print, in a range of sizes. 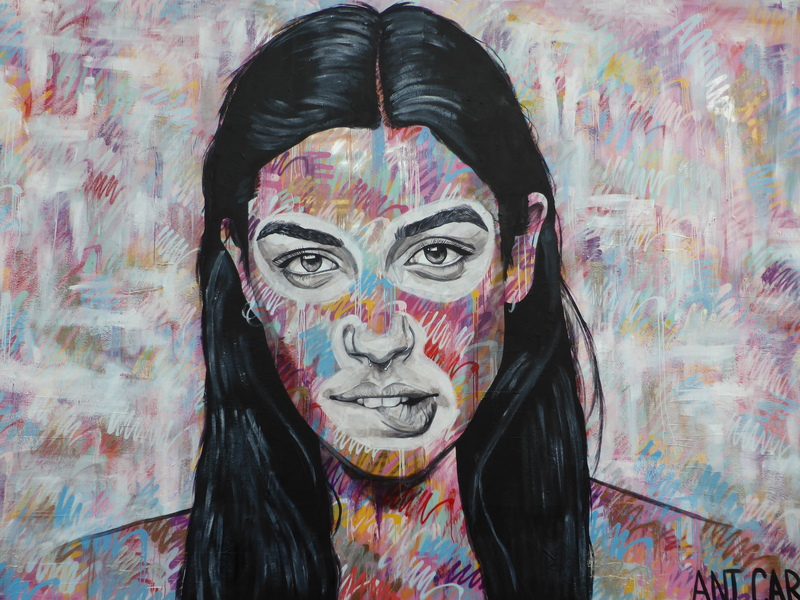 Although all focused on portraiture, the subjects are varied depicting different sexes, age groups and ethnic origins, set to display the universal beauty in people across all definitions. The overriding theme of the exhibition is to look at the positive in an image, with Ant feeling that quite often artists focus on the negative, with no real sense of deep underlying pretension about the show. For him, it is that initial reaction from the viewer that is the point of this body of works, that instantaneous spark that is formed upon seeing these works for the first time. 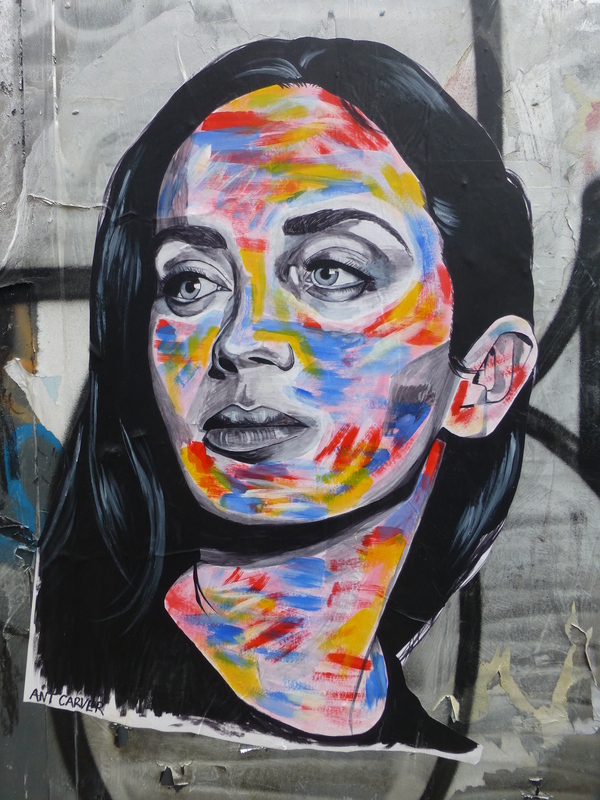 If you aren’t familiar with Ant Carver’s works here are some of the pieces we have seen from him over the last year around London as a taster of what to expect from his upcoming show. The ‘Nothing’s Wrong Something’s Right’ exhibition opens Wednesday October 14th at 6pm in Shop 7, Dray Walk, The Old Truman Brewery and runs until Tuesday October 20th. 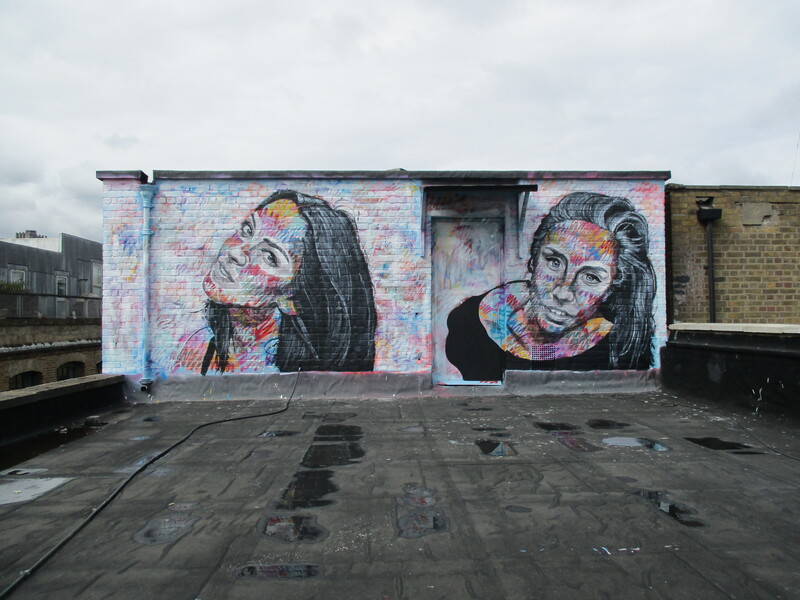 Work placed up a year or so back in Whitechapel and one of the first large-scale walls Ant Carver placed up in this style in London, aided by his regular street assistant Josh Booth. 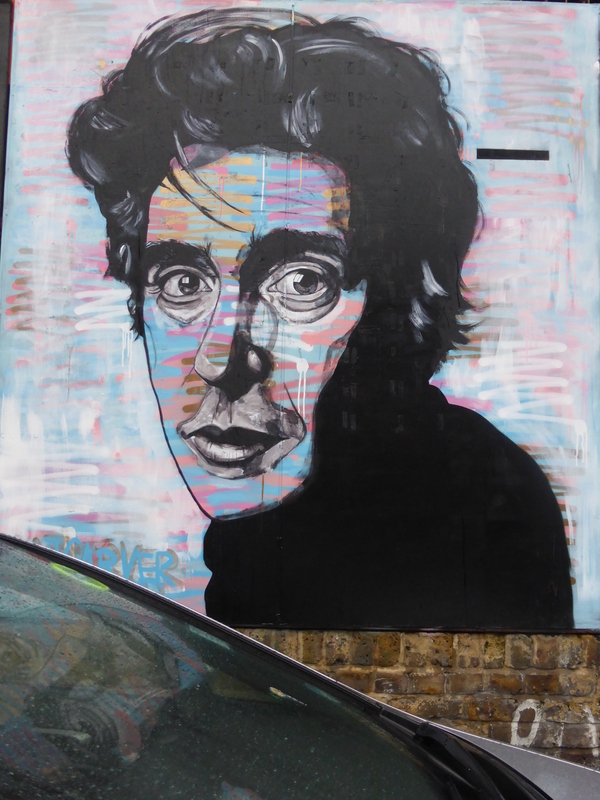 Work depicting Al Pacino placed up in Clare Street in Bethnal Green. 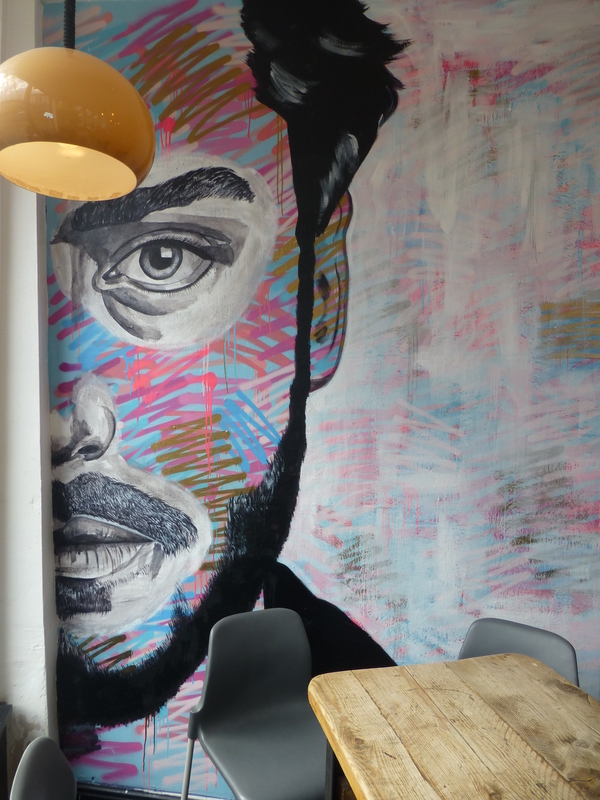 Work in Dalston placed up for the Tina We Salute You cafe. Work in the Tina We Salute You cafe in Dalston. 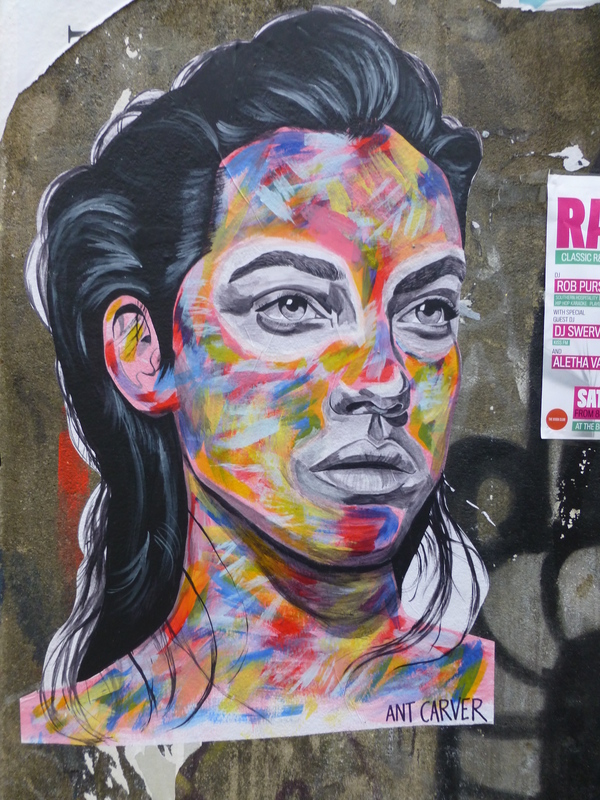 One of a series of several paste-ups placed up back in May around Brick Lane. 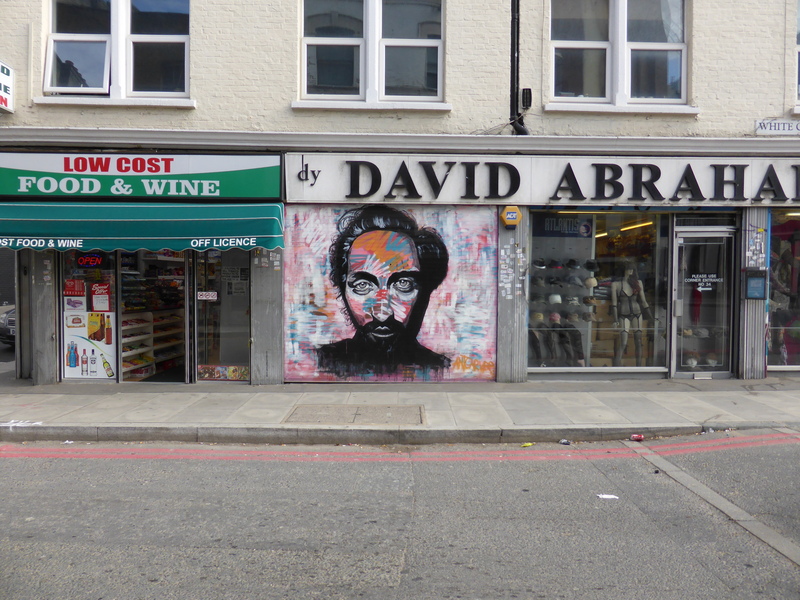 Work placed up in Camden Town back in May this year. 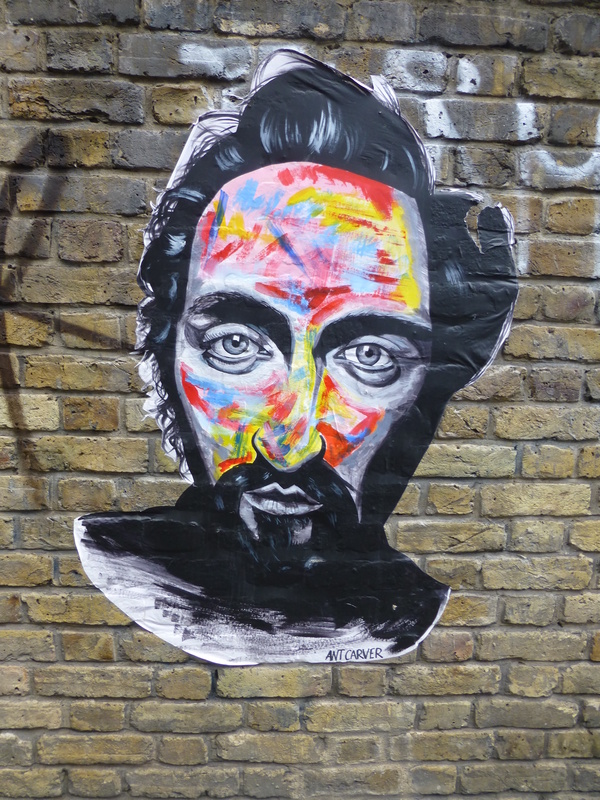 A paste-up placed up back in July, in this case in Sclater Street and still going strong. A paste-up placed up back in July, in this case just outside Shoreditch Overground Station and didn’t even survive the night before being covered by fly-posters. Work on the Jealous Gallery rooftop feature wall as part of the ongoing Jealous Rooftop Mural Project. Detail of work on the Jealous Gallery roof. 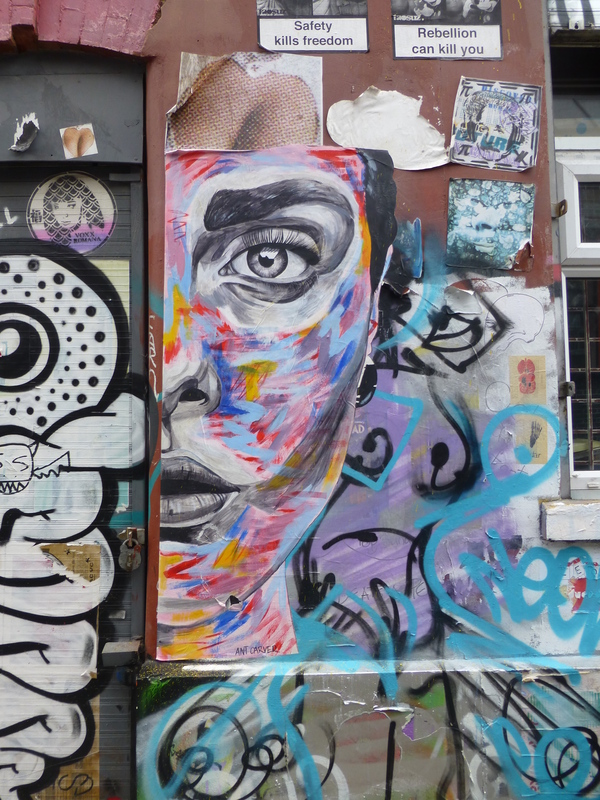 Recent work placed up on the Shoreditch Art Wall as part of the “Behind The Curtain” competition. 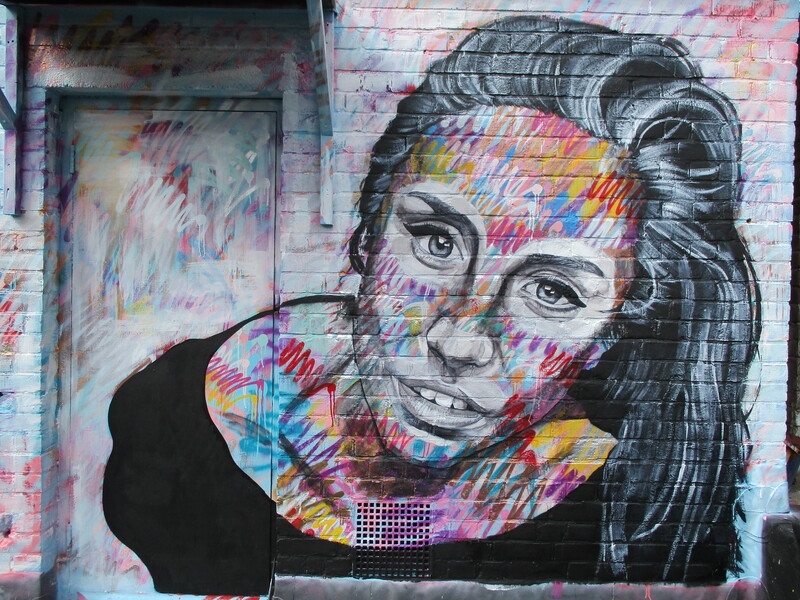 Detail of work on the Shoreditch Art Wall.